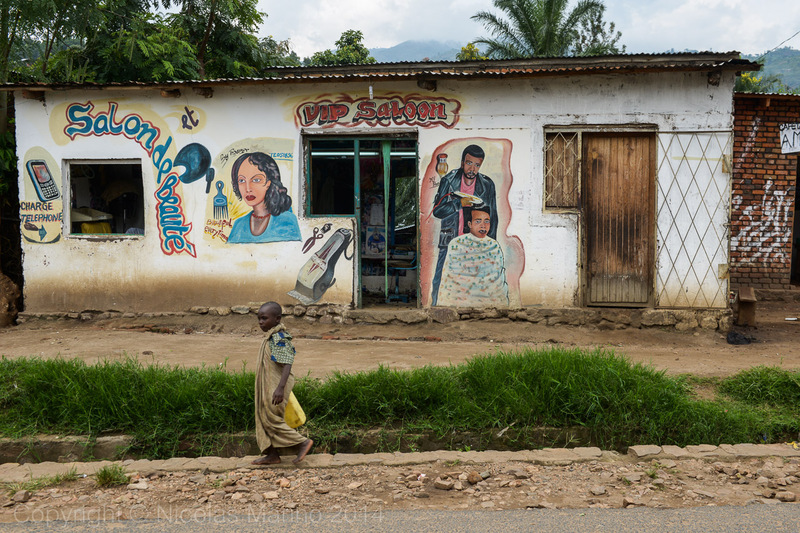 Burundi’s poverty becomes evident at the very same border checkpoint where a smiling officer manually registers our entrance into the country in a little brick house with no light nor doors with an inkless pen and a wrinkled notebook to which, I suspect, no one pays any attention. For 40 ridiculous dollars we got a 3-day transit permit to cross the entire country, but he cunningly advises us to offer, in the case of needing more than 3 days, 5 dollars to the officer at the exit border post, so we won’t have any problems getting out. Nevertheless, if it depended on him, he wouldn’t ask for anything he assures us. Burundi is such a small country that its entire territory has the same size of the black circle with which the big countries’ capitals are marked in maps. It is so economically poor that the whole concept I have of poverty is redefined. As I slowly pedal all the way up the first ascent I stop whining when I see a barefoot man drowned in his own tropical sweat pushing his bike loaded with firewood. He seems to be disintegrating in the heat when he stops and tries to catch his breath, he smiles at me before asking for some money to buy something to eat. I think about all those times when people from “my world”, the world where abundance is taken for granted, get surprised by the tough things I do, but for me, this is clearly a choice, a game. 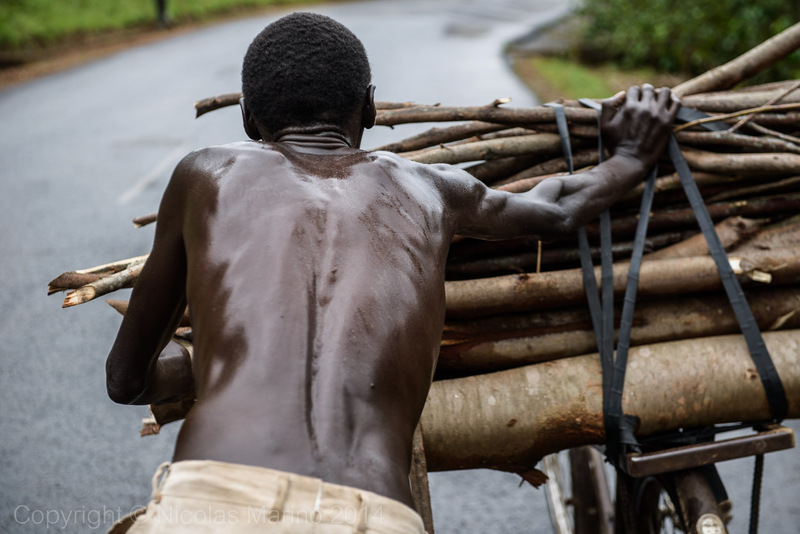 For Benoit, carrying firewood on his bike several times a day thickening the skin on his feet with the rough dirt roads and swelling his muscles up, it is everyday life. What I do is not tough at all. 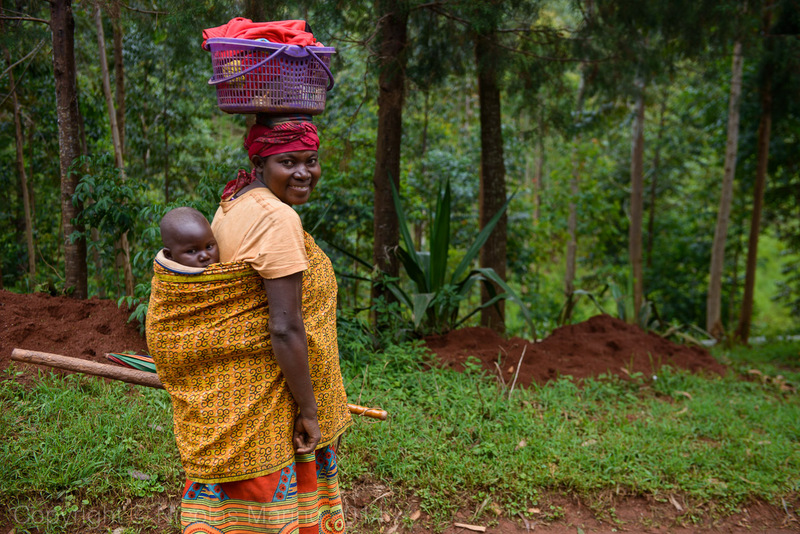 Further ahead, women carry their shovels on their way to the land they work with their own hands, as most women in Sub- Saharan Africa who always get the toughest part of the job. Intrigued, they stop to look at me, but they find it hard to smile: traces of a long-suffering past and present won’t leave them. They ask for money before I continue my way. A bit later, a pleasant chubby woman walking with her son by the side of the road smiles at me and asks for money when I get near her. 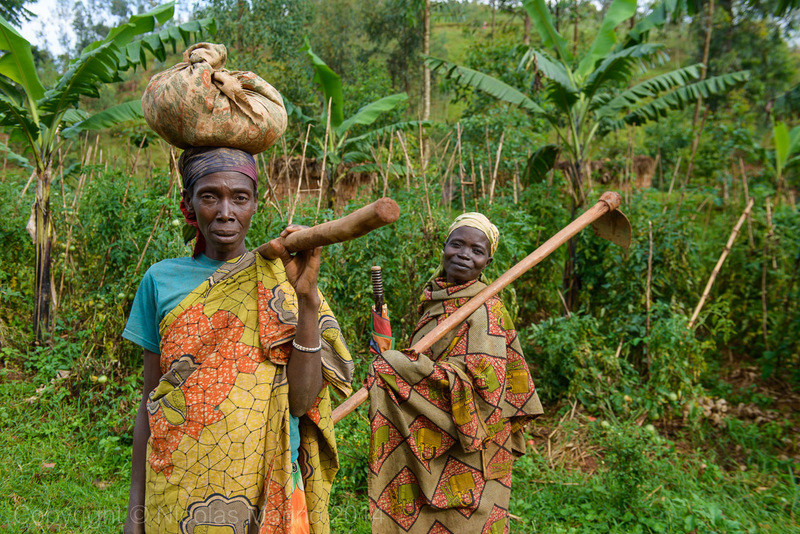 Rwanda’s thousand hills don’t finish in Burundi and our slow pace puts us face to face with people all along the way to Bujumbura. Food availability is scarcer than ever and it consists of nothing more than just the mixture of flour and water that everyone in Africa eats in order to fill up the stomach and kill the feeling of hunger, but it is not really nourishing. 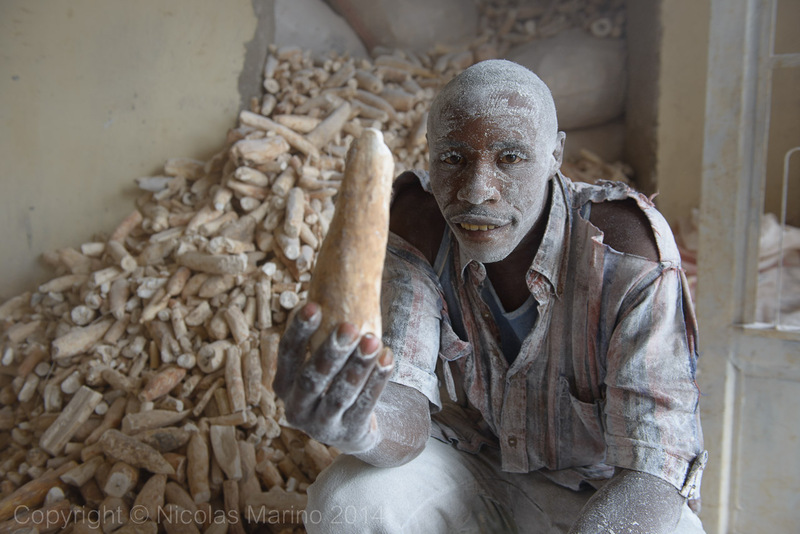 Here, in Burundi, the mixture is not made with cornmeal like the Kenyan Ugali but with manioc instead, and the men who grind it, work dressed in white, dreaming that maybe one day they’ll be as rich as they imagine all whites are. You can barely breathe in the room, but they invite me to witness the process and after the visit, they ask for money to go for a drink before I leave. 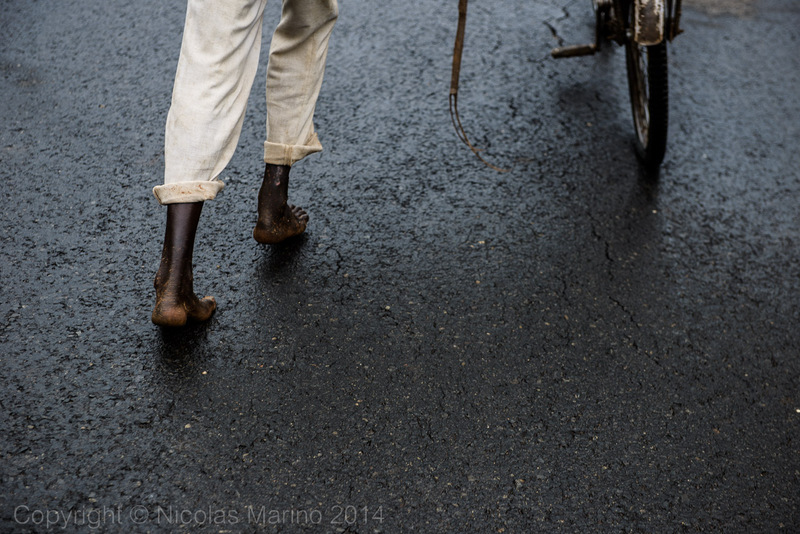 There are no motorized taxis in Burundi, but there are cyclists who fulfil the same role. There are dozens of them waiting by the side of the villages’ roads to carry people in their back seats, passengers who, for a couple of cents, avoid the long walk downhill. 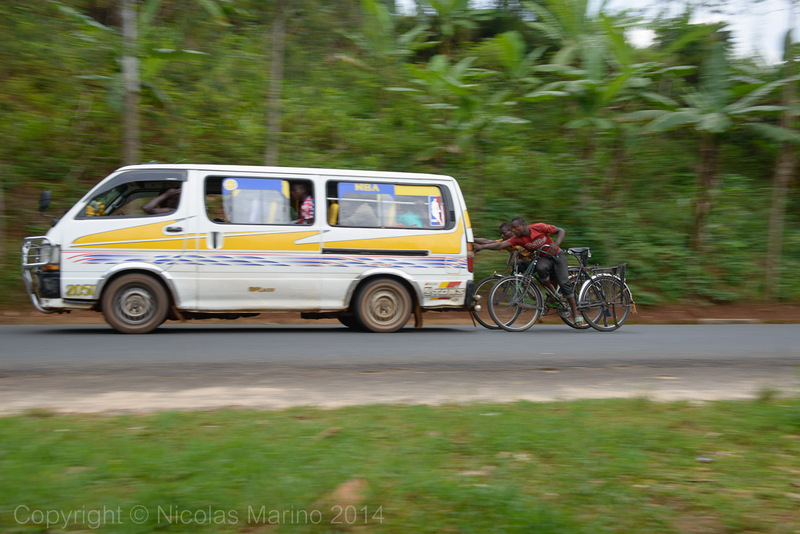 There are no flat stretches in Northern Burundi; therefore, taxis only go downhill. These strong young riders make this trip so many times a day that, if they had to pedal all the way uphill, it would be physically impossible and economically nonsense. That’s the reason why they risk their lives by getting into the frantically-driven and most likely without brakes vans, that go up to different villages in order to pick new passengers up. I feel that the feeling of adrenaline I get by doing what I do is less than the one that generates the mere watching of these kids (sometimes even two or three!) hanging from the vehicles sitting on the frame of their old rusty bicycles, while grabbing the handlebar with only one hand. On the other hand, when they pedal right next to us, they ask us for money. If Rwandan people don’t really know the concept of “personal space”, here in Burundi it’s even worse. In every town where we stop, people surround us until we feel we are suffocating among them and they will not let us move. When we try to leave, they have a hard time understanding that they have to move and if we stay still, they would all stay next to us staring at us as if we were extraterestrial creatures. It is clear that people here are kind, curious and that they don’t have bad intentions. They are so incredibly surprised by a reality that is so different to theirs’ that they find it baffling. While they thoroughly examine us, they all find an opportunity to shyly ask for money. 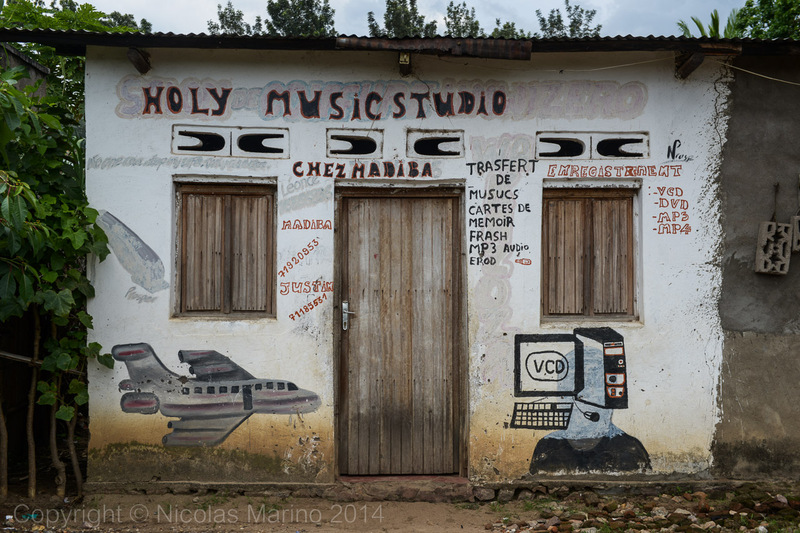 Bujumbura’s exit leads us to the shores of the next huge African lake. 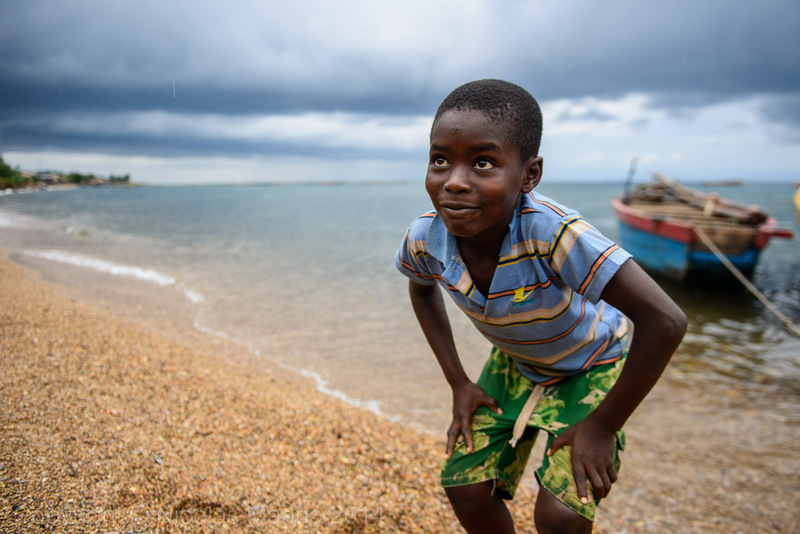 We visit one of the most beautiful lakes I’ve ever seen: Lake Tanganyika which, with its crystal clear turquoise water and a length of 400 miles, stretching along four different countries due to its size. 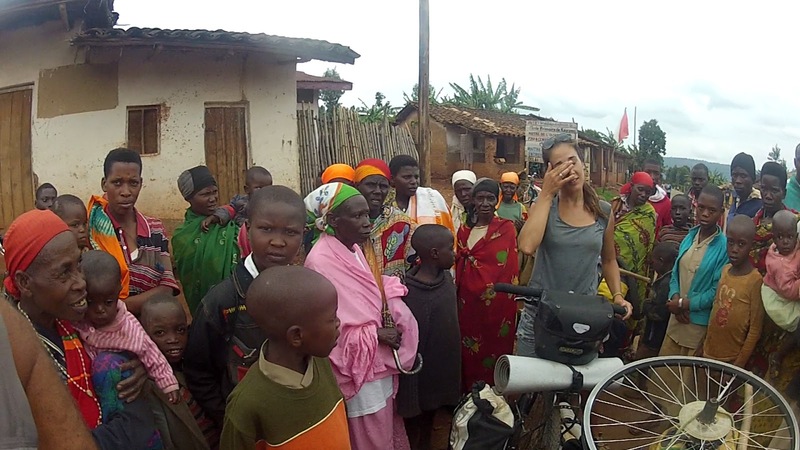 We continue our way to the Tanzanian boder, passing by little fishermen’s towns where kids chase after us laughing and surrounding us as soon as we stop. They are really nice, but also very persistent and every single one of them asks for money. To stop and appreciate the beauty of the lake becomes incredibly hard since it’s impossible to be alone and quiet for more than four seconds, plus it’s a stormy day which also steals away a little of its magnificence. However, there’s not much we can do: we only have half a day to finish crossing the whole country with the transit visa so we can’t stay longer. Everything in towns and villages is precarious, but only up to a point. Despite their scarcity of resources, Burundians have learned to create their own art to embellish the poverty that hides behind the walls. Stores are decorated with a kind of paintings I had never seen before. Kitsch but funny and joyful paintings, are used to define the nature of the store. Three-dimensional illusion technique used during Renaissance has not yet arrived in Burundi. 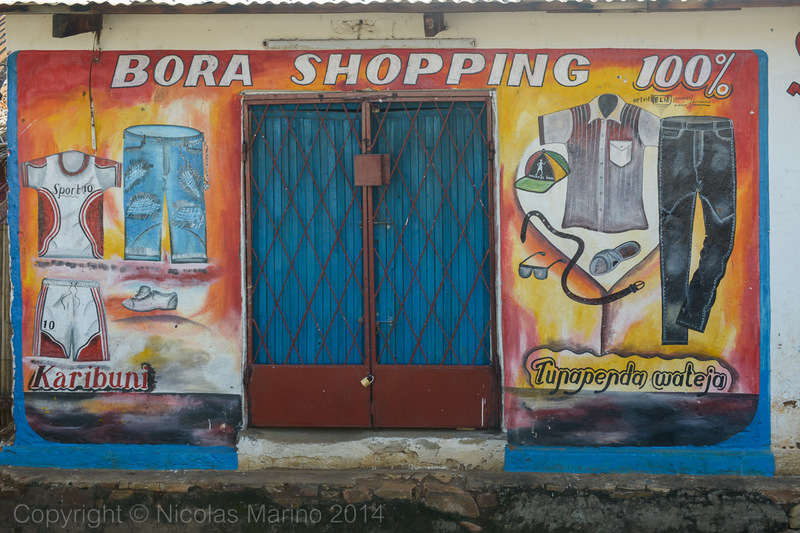 It took us four days to finally get to the Tanzanian border. Having an expired visa, we were ready to pay a fine or a bribe (to which I would flatly refuse), but no one noticed in the border crossing and they stamped our passports with a smile. We have to go over another 11 miles through a savage unpaved road that runs on top of the mountains with intense red soil until we get to the Tanzanian border post. It is surprising to see that this no man's land is actually full of small villages and people coming and going to their fields. Luckily, no one here seems to care much about us. 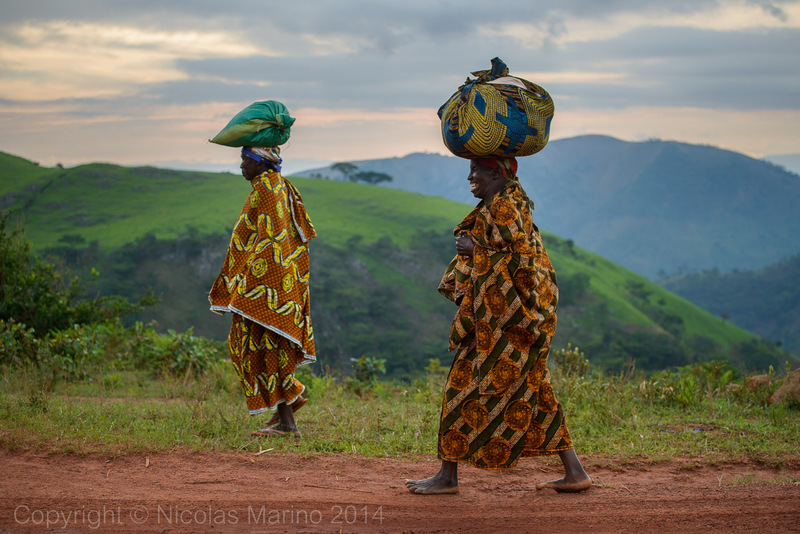 We are in the middle of rural Africa where, at the end of the day, women go back home with bags on their heads, wrapped in colourful dresses that contrast with the green mountains. They softly walk barefoot dyeing the soles of their feet red. This is the slow pace of Africa that fascinates me and, luckily, no one cuts off the reigning peace by asking us for money; instead they smile as the sun sets in the lake behind them. 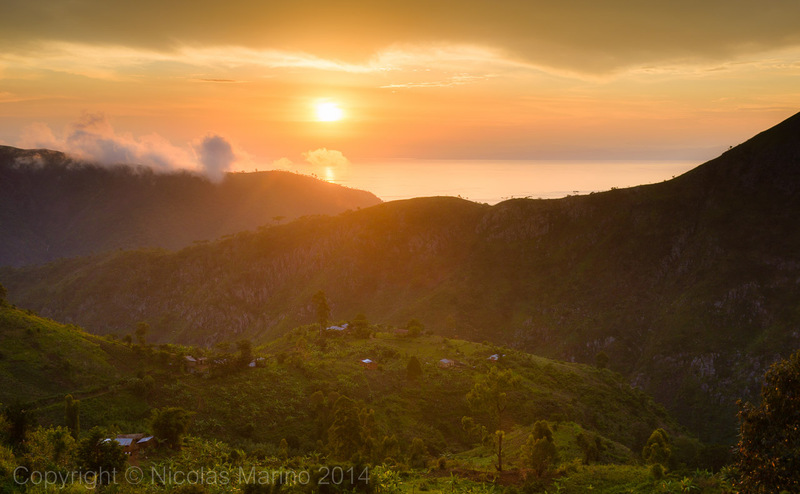 The day comes to an end and before reaching the border, we say farewell under the light of a dazzling sunset over Lake Tanganyika, the kind you never forget. It might be necessary to spend more time in Burundi to fully understand it, 4 days are certainly not enough to assess a country, but the havoc of the economic need and the result of decades of civil war and massacres don’t make Burundi a country easy to travel to. Just as everywhere else in Africa, being white is a synonym of being a millionaire, no matter how muddy and filthy you are in your gypsy bicycle. Colour defines you as an almighty rich person in these people’s minds. It’s not hard to notice that there has been and still is a lot of suffering going on here and when they see a white person they ask him for money because his is obviously rich (which we are indeed compared to them). If he is then, he must have some spare money so he comes to Africa to give the money away (as many Western NGOs do). As a consequence, it is very hard to establish a real bond with local people because, in almost all cases, they will look for a way to get us to give them money and this works as an internal barrier for that disrupts the natural flow of events that lead to the links I usually like to establish with local people. Giving them money is not the solution to anything, if anything, it just aggravates a problem that is already serious enough. In spite of everything, Burundians are very nice, kind and honest; they have not tried to con us with higher prices just for being white, as it is usual in so many other countries in the area. This is a lot to say, taking into account that this is a place where scarcity defines life itself and hunger is a constant feeling that cannot be soothed every day. With the nice memory of these simple smiles in a country full of sorrow, I leave Burundi.